Prepping for CompTIA Mobility+ Certification. Take out practice test and see how you fare. CompTIA, the leading provider of vendor-neutral skills certifications for the world’s information technology (IT) and channel workforce, recently introduced CompTIA Mobility+ for IT professionals working with mobile technologies. 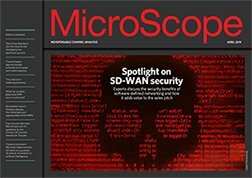 Individuals who earn the CompTIA Mobility+ certification have demonstrated their ability to deploy, integrate, manage and support a mobile environment, including mobile device management, troubleshooting, security and network infrastructure. 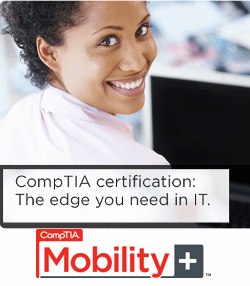 Are you ready for the CompTIA Mobility+ exam? Try this MicroScope hosted mini-quiz and see how you fare.